In selecting students who will benefit most from the Cooperstown Graduate Program and contribute most to the profession, the admissions committee weighs a number of factors: a strong academic record, an interest in public service, excellent writing skills, and a demonstrated commitment to the field through museum work in either a staff or volunteer capacity. Knowing that students learn from one another, the committee seeks students with diverse experiences, interests and backgrounds. Admission to the program is highly competitive. To be considered for admission, you must submit complete application materials by January 10th. Especially promising applicants will be invited to Cooperstown for a weekend of interviews March 17-20, 2016. The CGP admissions committee will make its final decision after Interview Weekend and will notify applicants within approximately two weeks. Imagine your ideal museum. What is it like? Who does it serve? What is your job? Please provide a personal narrative on this subject of approximately 750 words (or four double-spaced typed pages). 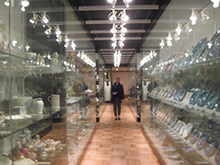 Laura Laubenthal ('13) enjoys visable storage at The Met during a class trip to New York City. 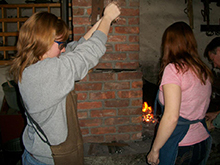 Michelle Paulus ('14) and Cassie Cavanaugh ('14) learn to make spoons during a Culture and Collections I class. 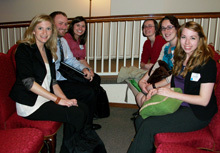 Students from the Class of 2010 and 2011 at the Eighth Annual Material Culture Symposium for Emerging Scholars. 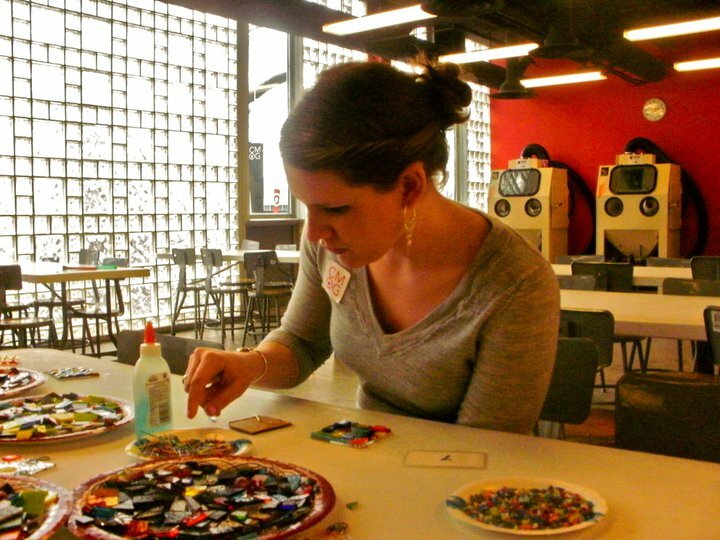 Elizabeth Nerland ('12) participates in a hands-on glass workshop at the Corning Museum of Glass.